Patella tendon problems are among the most well-known, most paining, and the most prolonged problems in cardio and ball sports. Using the Compex Bracing Line Webtech Patella Strap, you relieve effectively the patella tenond and reduce surplus loads and painful irritations. 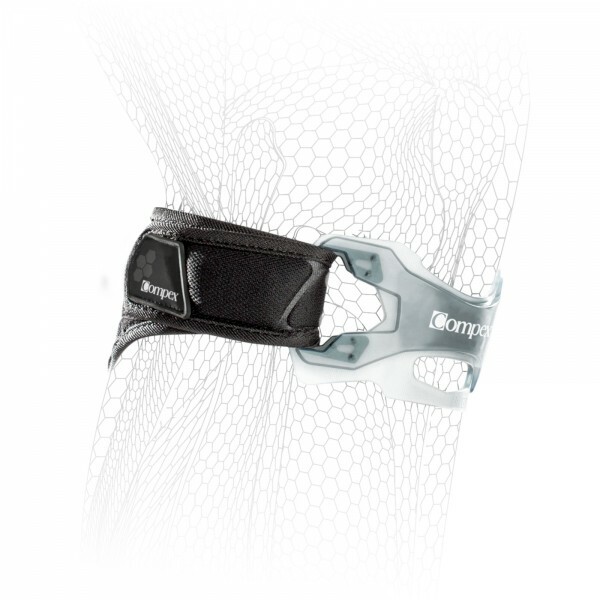 The flexible silicone adapts optimally to the knee structure and absorbs shocks on the knee. The loads are dissipated from the sensitive patella tendon and are distributed among the whole surrounding structure. The strap is very comfortable to wear. The woven back offers a high breathability and is also a reliable companion in everyday life.